cocooned in a warm, snug wrap. Your torso and limbs are coated with a thick frosting of moisture-drenching and detoxifying bliss. The smell of ginger lingers through the air. Sweet, angelic voices intermixed with the sound of ocean waves fill the space. Your eyes, nestled under a lavender-scented mask, blink a few times and try to remember where you are ~ how you got here? “Am I having a really good dream?” you may wonder. 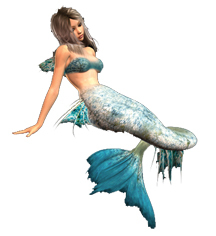 And as soon as she saw her room, which she’s named the “Divine Mermaid Sanctuary“, she knew she would be incorporating her love of holistic body treatments. “The enclosed, Vichy shower within the room was my main reason for choosing this particular room,” she says. “So many spas make their clients walk down long, cold hallways dressed in ill-fitting robes to shower after a great treatment.” By the way, this special shower with two heads and jets spraying water from the next wall is a must-try. You can even add it to a massage. in the field of alternative healing. A Delaware-native, she grew up in Wilmington and attended Padua Academy and the University of Delaware. 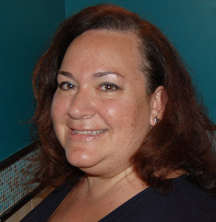 Searching for more knowledge, she graduated from the Baltimore School of Massage in 1997 and is a licensed and nationally-certified massage therapist. She is also an esthetician and Reiki master and offers rejuvenating facials and energy work, including Tourmaline Body Therapy which helps the body break down armor to allow us to live more fulfilled lives. Fertility massage and Cranio Sacral therapy are also client favorites but body treatments hold a special place in her list of services. “They are not just ‘fluff and buff’ or superficial. They treat the whole body, increase circulation and give people a chance to lay still, meditate, contemplate their lives and regroup,” Diane says. The Mermaid Splash begins with exfoliation. “This incredible ginger scrub is a body’s best friend,” she says. White and brown sugar buff roughness away while sea salts brighten bodies that were once dull and grey. Olive oil hydrates the driest of skin. And ginger’s warming aroma lingers from your toes to your nose. This scrub is partially removed by hot towels scented in lavender and rosemary. Clients then have a choice between a detoxifying seaweed gel and a lush, milk and honey moisturizing glaze before being wrapped in plastic sheets, a warming blanket, and then cocooned in a fluffy, blue comforter for about 20 minutes. The seaweed gel is the more detoxifying choice with the active ingredient of nutrient-rich Blue-Green Algae. Sea Kelp stimulates the metabolism. Rose hip seed oil rejuvenates and helps heal the skin. All of this in a base of nourishing willow bark, Aloe Vera, vitamin E and lavender oil will leave your body silky soft. “What I love about this seaweed is you will look like a mermaid but you won’t smell like you have been swimming with the fishes,” Diane says. The luscious, milk and honey hydrating wrap is a rich, self-warming balm that melts on contact. Diane is an incredible bodyworker. She combined a body scrub, then a wonderful seaweed wrap, and finally a warm oil massage. It was so relaxing that I fell asleep, and my skin felt like velvet. I can’t wait to go again. Thanks, Diane. Diane E. Heck LMT, NCTMB, LE, Reiki Master. Diane has been facilitating healing through massage & bodywork for over 15 years. Specializing in a combination of cranial sacral therapy, reiki, reflexology & a little bit of magic & intuition, she individualizes each session to be a blissful wave of sensuality and deep stress relief. Fibromyalgia & Fertility sessions are a key part of her practice. Diane also brings relaxing, rejuvenating facials & body treatments to Kaya. ← Previous Story WARM BAMBOO……HOT STONE MASSAGES…Rejuvenate, Relax & Nourish your Muscles… for Fall.